The Buoyancy Aids listed below are great for recreational paddling on sit-on-top kayaks, open canoes, sit-in touring kayaks and fishing kayaks. They feature a simple easy-to-use and comfortable design, with adjustable straps for a good fit. These Buoyancy Aids are also a great option for rental outlets, education groups and other commercial paddlesport uses. 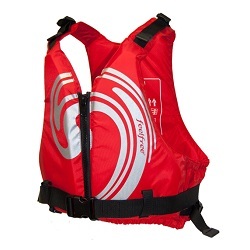 A popular all-round watersports buoyancy aid that is great for kayaking and canoeing. Multiple adjustment straps and sizes to suit both junior and adult paddlers. A comfortable buoyancy with simplistic design and unrestrictive fit for paddling. Multiple adjustment straps and front-entry zip. Adult sizes and Child size available. A simple and effective buoyancy aid with a slimline design and multiple adjustment straps. Comfortable to wear on the water all day long. Great for recreational kayaking, canoeing and other watersports. Adult and Kids sizes available. 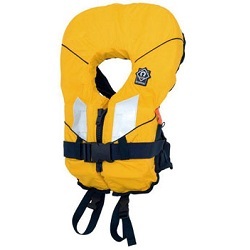 100N fixed foam lifejackets for children, with collared design and crotch straps to prevent the lifejacket riding up when in the water. 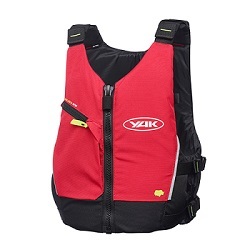 Are you looking for a Buoyancy Aid with more features such as storage pockets? If you are then check out our range of Touring, Kayak Fishing & Sea Kayaking PFDs for more feature packed options.